The creator of Minecraft has detailed a few potential future projects that have absolutely nothing to do with creepers. The second project coming out of Minecraft studio Mojang is a card/board game called Scrolls, but what about the third, fourth, fifth, and beyond? 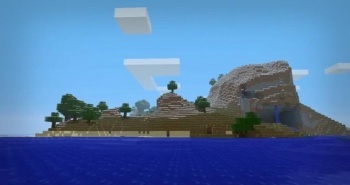 Minecraft creator Marcus "Notch" Persson recently talked about his ideas for these future titles and they're probably not what you might have expected. Persson told Rock, Paper, Shotgun that he isn't sure exactly what will come next, but he has "many games in mind." One is a "space trading simulator" born out of Persson's annoyance from previous games in the genre that "miss the point." He says that he has a strong desire to make a better space trading simulator, but that it'd be a lot of work and probably wouldn't sell many copies. A second idea is for another sim, but a "weird town" sim. Players take on the role of a single character in a city, sort of like The Sims. It wouldn't be "a super-realistic city simulator," Persson says, but a game that expressed his own view on real life. Finally, Persson talked about a third idea that he was reluctant to discuss lest someone steal it. "It's like a football manager, but it's for fantasy heroes," he said. "If you have a troll and a goblin in the same team, the troll might eat the goblin. Stuff like that." If you steal his idea, may a zombie pig haunt your dreams for eternity. The overall development philosophy of these games seems to stem from Persson's frustration with other games and the arbitrary rules they enforce. Mojang wants to create games with mechanics that make more sense. I don't think all that Minecraft money could be in a better place.